Have a lot of mouths to feed? The Wal caters any size Pack! 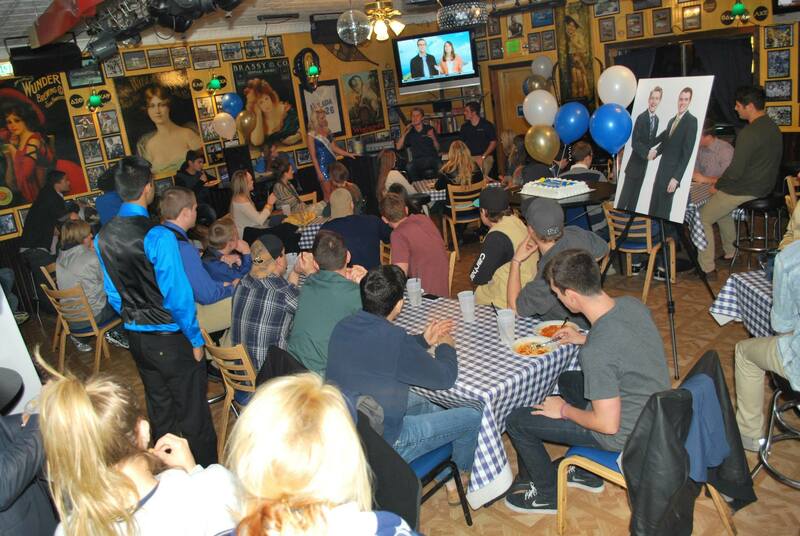 The World Famous Little Waldorf Saloon will help you make your party or special event a spectacular success! Need a location? Our spacious Party Room is just the answer. We’ll make your gathering one to remember with great food, a private bar and even DJ service if you’d like. Large party or small, you bring the people and we’ll take care of everything else. Hungry for choices? The Wal has a spectacular array of delicious burgers, smoked ribs & chicken and fresh handmade pizzas! Have something special in mind? No problem, our chef and his staff can create just about anything you can imagine! Eat here or we’ll bring the party to you. 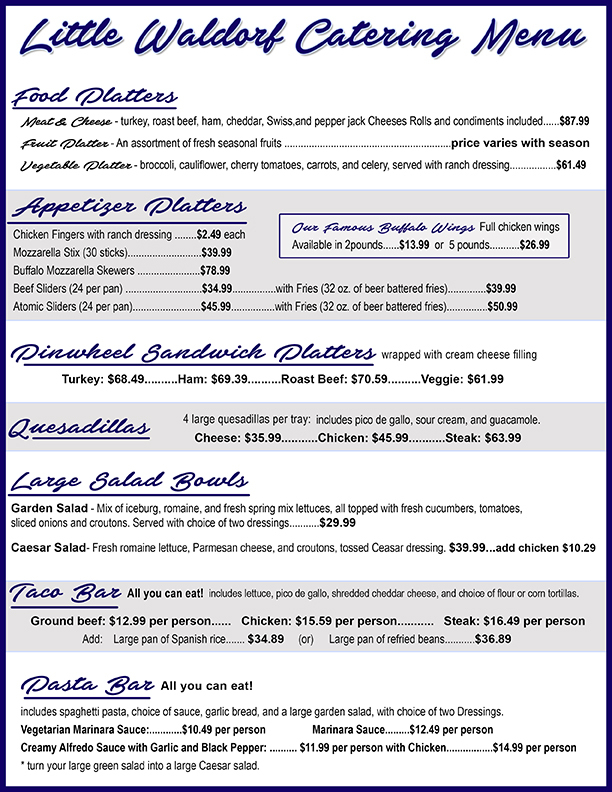 You can’t go wrong with our dizzying array of menu choices and options. Drop us a line and let us know what you need!